If you're tired of losing the war to biting mosquitoes, then Cayce Exterminating can help. Are you tired of smelly citronella candles, oily bug repellent, and ineffective bug zappers? 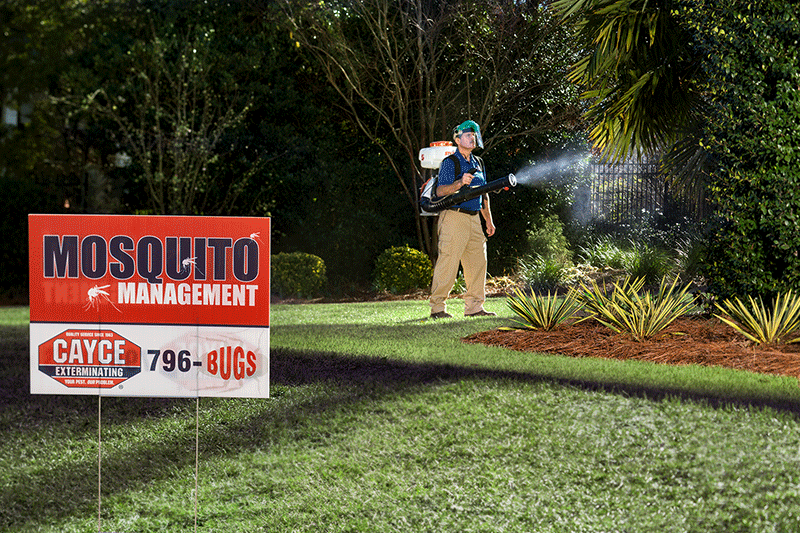 Our Mosquito Management Plan is designed to control where mosquitoes live and breed so you can reclaim your outdoor living. Did you know that mosquitoes are the deadliest insect in the world? They can transmit a variety of diseases including the Zika virus, malaria, West Nile, and dengue fever. A Cayce Exterminating expert will provide an onsite evaluation of your property and outdoor living areas and customize our Mosquito Management Plan to fit YOUR outdoor living lifestyle. Our Seasonal Plan normally runs from March through October but can be customized to fit your needs. We target areas where mosquitoes LIVE and BREED such as shrubbery, standing water and other shady areas around the property. Our mosquito control program is safe and effective so rest assured that your pets and children can roam free with reduced risk.